I can't believe that this is the last week in June. It did not quite go the way I planned either. I started a new job, which is great, but I also signed up for JuNoWriMo so I could get my novel written...and didn't write a word. It just wasn't feasible with the new job and all. 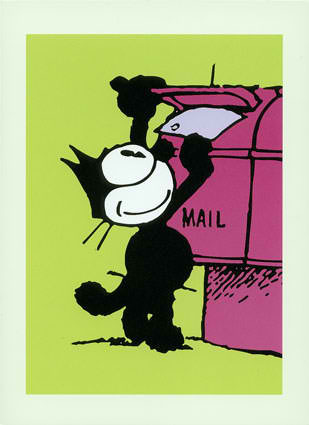 The kids go back to school in a little over a month and I'm going to try to do Camp NaNoWriMo in August, but we shall see. Once the kids go back, I'll have a little more time. I need and want to get my novel written! 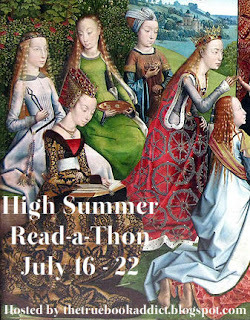 Sign up for the High Summer Read-a-Thon coming in July at the dedicated blog, Seasons of Reading. Click the button to go over and sign up. Would love to have you join us! 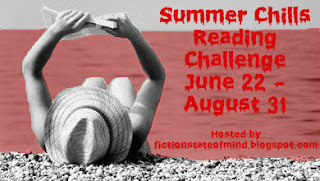 Kai at Fiction State of Mind is hosting the Summer Chills Reading Challenge. The challenge runs from July 22 through August 31. It's all about doing some fun scary reading this summer. I'm signed up and I'm super excited! If you would like to join us, check out Kai's sign up post HERE. 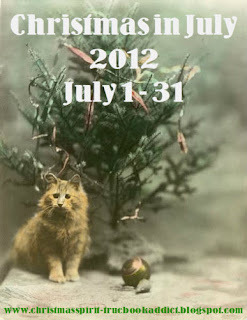 My annual Christmas in July event at my Christmas blog, The Christmas Spirit, is starting next week. If you love Christmas any time of the year, you'll want to stop by for some fun! I'm also looking for guest bloggers so if you're interested in being my guest during the event, visit the announcement post HERE and find out what all will be going on. 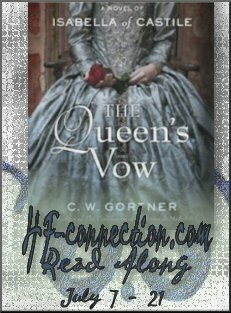 Join us for The Queen's Vow (by C.W. Gortner) Read-a-Long at Historical Fiction Connection. The dates are July 7 through July 21 and you can get all the details and the reading schedule at this POST. Hope you will join us!